This web site has been revamped - but only from the front end. I have tidied up the header and made the colour scheme more neutral. I have added a sidebar which is on the right and is the same for all pages. 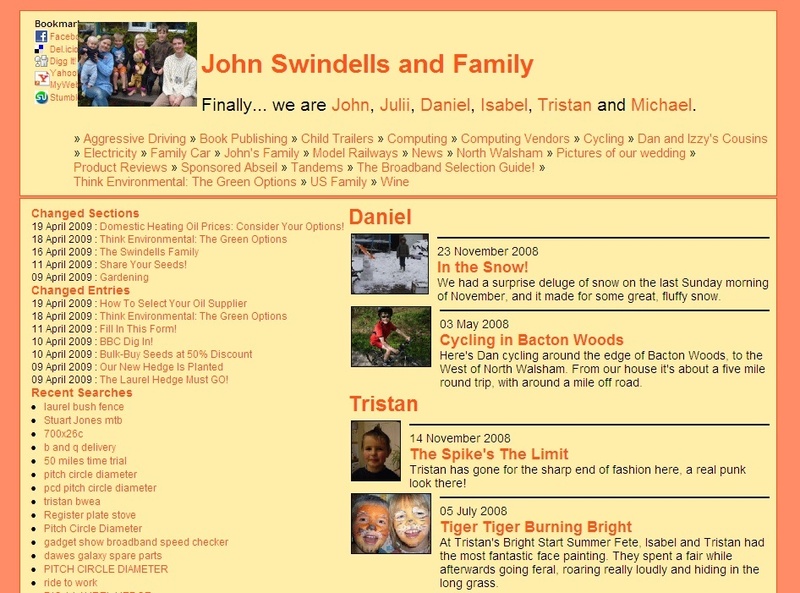 Attached here is a screenshot of the old look (mostly to remind myself how bad it looked before).